Progressive Jackpot slots are not just limited to land based casinos alone. More than a hundred varieties of slots games are available at online casinos which offer casino players some of the largest jackpots in the world. Of course, the more Progressive Jackpots online there are, the more winners there’s going to be over time. When a lucky player wins a notable jackpot, the gambling world goes crazy, asking the same question – Who won it? Where do they come from? Which online casino were they playing at? What will they do now? It's excitement and curiosity all rolled into one. But it’s also time for that very jackpot to start over and create another overnight millionaire as it’s a cycle that goes on and on. There have been many real winners over time, and more online casino players are becoming aware of the real winners due to the advancement of social media and other online resourcesyou can read gambling news on. When you can see real people win really real jackpots, it makes online all the more trustworthy, interesting and exciting. If it happened to them, then it could happen to you, right? Mega Fortune Jackpot by NetEnt has already made a second millionaire already in 2015 (at time of writing) which was won by a lucky player from Stockholm, whilst he was playing mobile casino at Leo Vegas. This casino player took the chance and won €5.6 million on his iPad (so therefore playing Mega Fortune Touch) which makes it the biggest ever mobile jackpot win! More and more people are playing mobile casinos, making it extremely accessible to play anywhere you want to play €5.6 million is an absolutely huge amount to win in any one go – it beat the National lottery hands down (and really – it’s way more fun to play online progressive slots than the lottery) so we do not blame the lucky individual to remain anonymous. It’s a life chaging situation that could leave you vulnerable so we salute him (what we do know is the player is a male from Stockholm who took home the Swedish equivalent of 53.6 Million in SEK) and say good luck, take care and congratulations, may it bring you happiness and some great adventures along the way. 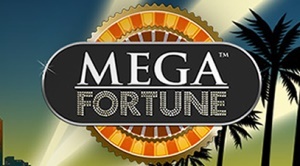 As an example to show you how popular these casino games are and which lucky players have won them in the past, we’ve put together a list of Mega Fortune winners since Mega Fortune was released back in 2009. It would be impossible to mention about all the other lucky jackpot winners over time for all the other great progressive slots out there such as Mega Moolah, Hall of Gods, Beach Life Slot and the rest, but it’s a good start as Mega Fortune is probably the most popular progressive jackpot slot online at the moment. online casino and won the Mega Jackpot on the Mega Fortune which gave her a personal fortune of €4.3 Million! July 24th 2011: A lucky guy called Markus won €37,079 on Mega Fortune at a major online casino. It may not be the largest win in history but it’s still just shy of forty grand which still is a great amount to win. 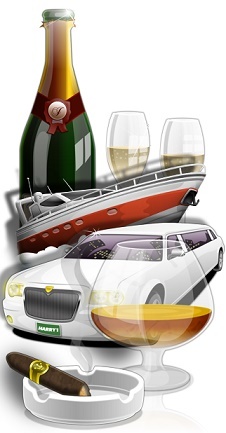 August 27th 2011: A 30-year-old Scandinavian male won €125,000 on the Mega Jackpot while playing Mega Fortune. Again not the biggest but it's not small is it? September 24th 2011: A 20-year-old Norwegian scooped the largest jackpot ever* in the Mega Fortune (at that time) which was about €12 Million The winner was a humble Norwegian student who decided to just log in that evening and play some little free spins that an online casino had given him and he walked away with the mega fortune mega jackpot! You just can’t make that up. June 6th 2012: A winner who didn’t mind to be named in the press, called Christoffer, a 42-year-old from Linköping in the middle of Sweden. Obviously a smart guy, he said to the world that he intended to invest his win into some stocks and some other business ideas which is a fabulous idea. Mega Fortune made his dreams come true or at least, a lot easier to achieve. January 20th 2013: *Record Breaking Win Alert* A 40-year-old Finnish player from Helsinki played Mega Fortune, initially investing about €2,000. He went on to win the record breaking jackpot of €15.4 Million! At this point, a new world record for the largest jackpot won online was born. The only thing we learned from the winner was that the casino player was a 40 year old and will now be able to afford a personal trainer after the big win and get in shape. How humble. We wish him the best. February 14th 2013: It was Valentine’s day and indeed proved to be a blooming great day for an English winner who won the jackpot on Mega Fortune at the online casino Mr Green. Seen as smaller than some of the jackpots in recent months the 3 Million Euro win was not small at all. August 8th 2013: A lady from the Netherlands won the jackpot on Mega Fortune to the tune of €3.5 Million. December 13th 2013: A lucky player from Sweden hit the big time with a nice prize pool win of €2.6 Million. You decide if it was pure luck considering it happened on Friday the 13th. What a nice early Christmas present! April 20th 2014: A Swedish player won €3 Million when the jackpot on Mega Fortune exploded. The best thing was that she only invested €5 and won. We respect her as she wished to remain anonymous. January 2015: A Swedish man from Stockholm wn €5.3 Million on the Mega fortune Jackpot when he was playing at Leo Vega Casino. First winner of 2015 and a very nice life-changing amount. Well done sir. As you can see real people have changed their lives by playing online casino jackpots. I can't happen to everyone but you need to be in it to win it.